With echoes of Hillel (“If I am not for myself, who will be for me? But if I am only for myself, who am I? If not now, when?”), King reminds us existentially we are not alone, we must act, and our actions do not happen in an isolated vacuum. Mitigating climate change, the promotion of renewables, addressing food and water scarcity, strengthening women’s rights, working towards less violent conflict worldwide including a just settlement of the Arab-Israeli conflict, are challenges we face. They call for leadership, activists, and activism. On face value they may appear separate, but on another level they are interrelated. For 20 years, these issues have been addressed on a kibbutz in the southern Israeli Arava desert valley along the Israeli-Jordanian border at the Arava Institute for Environmental Studies (www.arava.org). The Arava Institute is an academic studies and research program located on Kibbutz Ketura dedicated to preparing future leaders from Israel, Palestine, Jordan, and around the world, to cooperatively solve the regional and global challenges of our time by advancing cross-border environmental discourse and cooperation, regardless of political conflict. There are two paths to the Arava Institute. One is to be a student for a semester or full year, the other is to come as an intern and work in the Institute’s many transboundary Research Centers, including the Center for Renewable Energy and Energy Conservation, the Center for Transboundary Water Management, and the Center for Sustainable Agriculture. 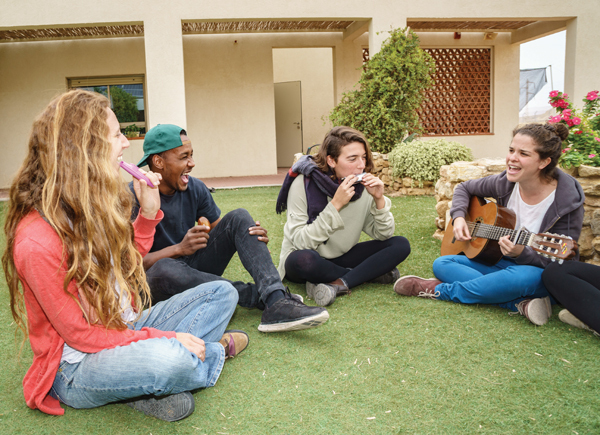 The Arava Institute experience is multifaceted and includes environmental leadership training, peacemaking skills, environmental education, kibbutz and desert living, and some would say modeling the best of Zionism. 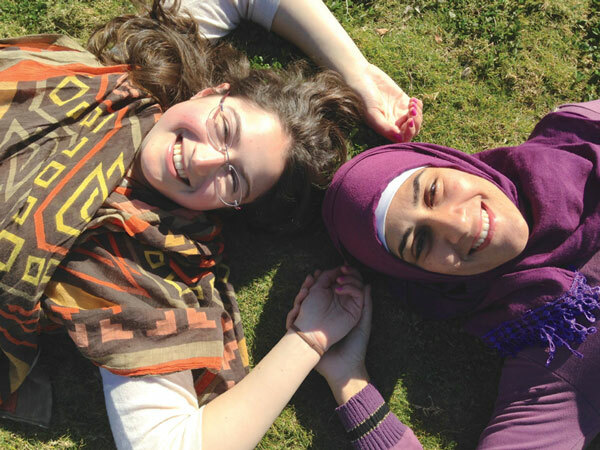 Of the many subtexts of the Institute, one of the most important is the opportunities it offers women of the Middle East. In addition, students and interns are given opportunities to grabble head on with the challenging and demanding issues of the conflict through our Peace-Building Leadership Seminar. 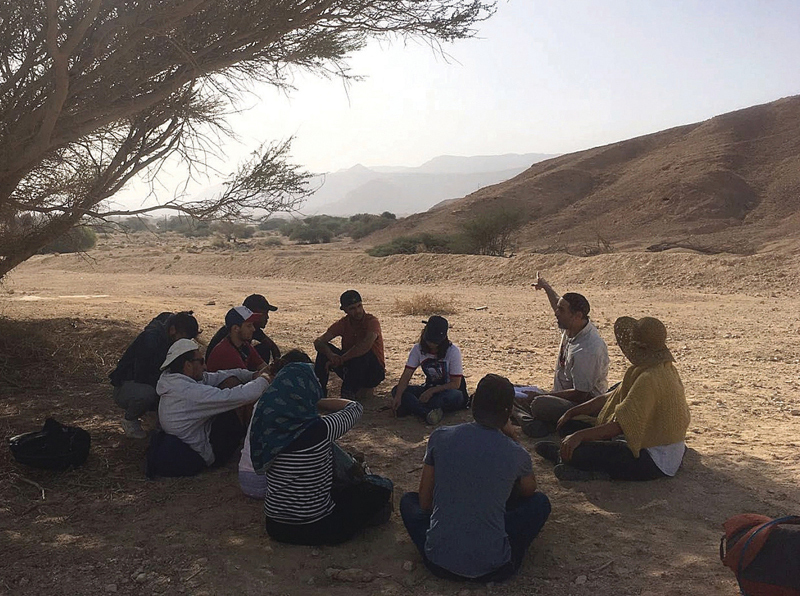 Students and interns become members of the Arava Alumni Peace and Environmental Network (AAPEN), a member-run organization that aims to build capacity for cooperative alumni initiatives, engage alumni through outreach programs, and enhance Jewish-Arab networking in the Middle East. AAPEN members communicate regularly through social media and convene at annual meetings in Israel, Palestine, or Jordan. Through these ongoing connections, Arava Institute graduates are able to work together on innovative projects of mutual concern. Reduced to one of its essential components, the Israeli-Palestinian conflict is about land — more precisely, the borders that nations draw on the land. When we look upon the land solely as a geopolitical instrument, it is viewed as one of the major stumbling blocks to any reconciliation. However, when the land is viewed from an environmental perspective — which does not know from political borders, walls, or fences — new frameworks opens up. Dr. Clive Lipchin of the Arava Institute makes the point to look at watersheds rather than political borders. This has led to work between Palestinians and Israelis in the Besor-Hebron-Beersheba watershed, and to similar ideas when it comes to the Jordan River watershed. The needs of the environment, rather than disputed land (the same piece of real estate), can become a bridge between people. For 20 years, the Institute has developed a vast transboundary network of environmental professionals, all dedicated to the belief that protection of our shared environment cannot wait for the regional conflict to be resolved. Furthermore, a growing network of 1,000 Arava alumni is continuously being added to, both regionally and globally. In 2016, the Institute formulated a new strategic vision to advance cross-border environmental agreements between Jordan, Israel, and Palestine in the face of political conflict. In light of this vision, as well as the conspicuous absence of official Track I negotiations, the Arava Institute launched a multi-national action, the Track II Environmental Forum, to promote cross-border environmental agreements between Israel, Jordan, and Palestine. The Track II Environmental Forum enables key civil-society organizations, and individuals who represent state and non-state actors, to meet, discuss, negotiate, and develop practical cross-border strategies to facilitate formal and informal environmental agreements. Despite current regional conflicts, creating such agreements now is vital if environmental challenges are to be mitigated. The First Annual Cross-Border Environmental Cooperation Conference was held on September 7th and 8th, 2016 at the Arava Institute, with participants from Israel, Jordan, and the West Bank and Gaza. Roundtable discussions were held during the conference on wastewater treatment and reuse, renewable energy, and climate change. These were transformed into three permanent working groups. Rabbi Michael M. Cohen is the Director of Community Relations for the Arava Institute and teaches conflict resolution courses at Bennington College.